Hartman-Cox Architects has contributed to the education of children in the city of Washington and served the community at large in several ways. As founder of the Architecture In the Schools (AIS) program, partner Mary Kay Lanzillotta, FAIA LEED AP and hundreds of volunteers have reached out to more than 8,000 students since 1992. Under the umbrella of the Washington Architectural Foundation, AIS is a program that matches volunteer architects (many from Hartman-Cox) with public school teachers to enrich the learning experience of children. With local architect volunteers in the classrooms, AIS reinforces core academic skills, teaches children how to exercise their analytical and creative skills through the architectural design process and fosters a heightened civic consciousness, bridging the gap between what is learned in school and everyday life. Hartman-Cox Architects has contributed to the education of children in the city of Washington and served the community at large in several ways. As founder of theArchitecture In the Schools (AIS) program, partner Mary Kay Lanzillotta, FAIA LEED AP and hundreds of volunteers have reached out to more than 8,000 students since 1992. Under the umbrella of the Washington Architectural Foundation, AIS is a program that matches volunteer architects (many from Hartman-Cox) with public school teachers to enrich the learning experience of children. With local architect volunteers in the classrooms, AIS reinforces core academic skills, teaches children how to exercise their analytical and creative skills through the architectural design process and fosters a heightened civic consciousness, bridging the gap between what is learned in school and everyday life. 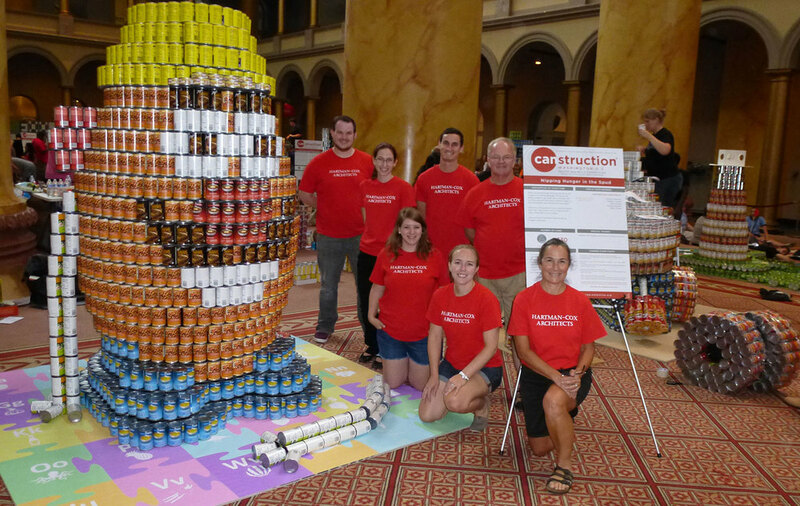 Also through the Washington Architectural Foundation, Hartman-Cox Architects participates in CANstruction, a national program where teams of local architects create structures out of canned and packaged foods. A week-long exhibit of these clever structures shows the design community's ingenuity and helps underscore the need to fight hunger in the Washington area. At the end of the week, the structures are "de-CANstructed" and donated to the Capital Area Food Bank. 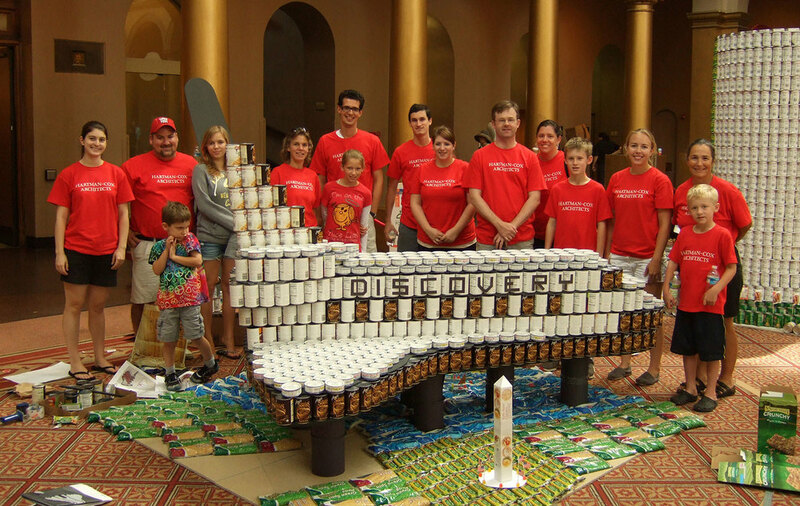 CANstruction has donated more than 200 tons of food in the last 10 years. This year Hartman-Cox celebrates its 10th year participating in the program. 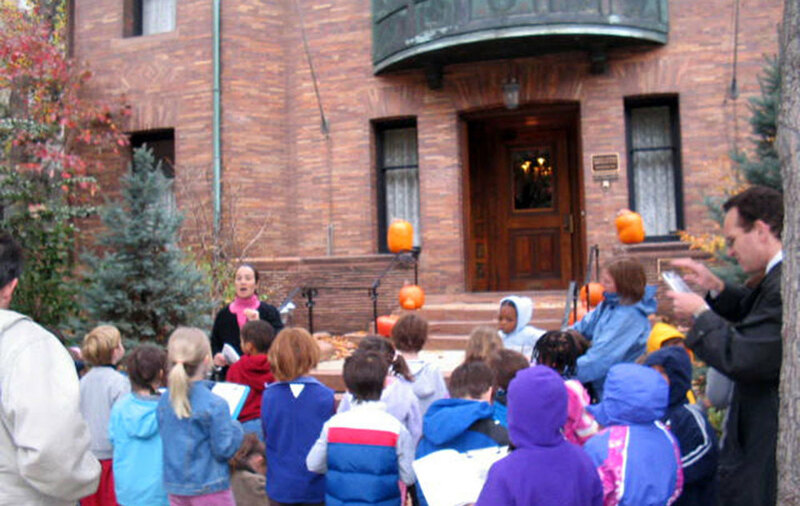 Hartman-Cox and Mary Kay Lanzillotta have played an instrumental part in the “Exploring Architecture with Kids: Neighborhood Tours” program. Launched in 2005, this program includes a series of eight DC neighborhood schools for children aged 6 to 12. After exploring their neighborhood on a guided walking tour, children design and build their own structures.